Here’s one of those trades where it was a no-brainer to go for the slightly earlier entry. Even a more conservative later entry would have netted a nice profit. As it was, the earlier entry made for well over a dollar a share. 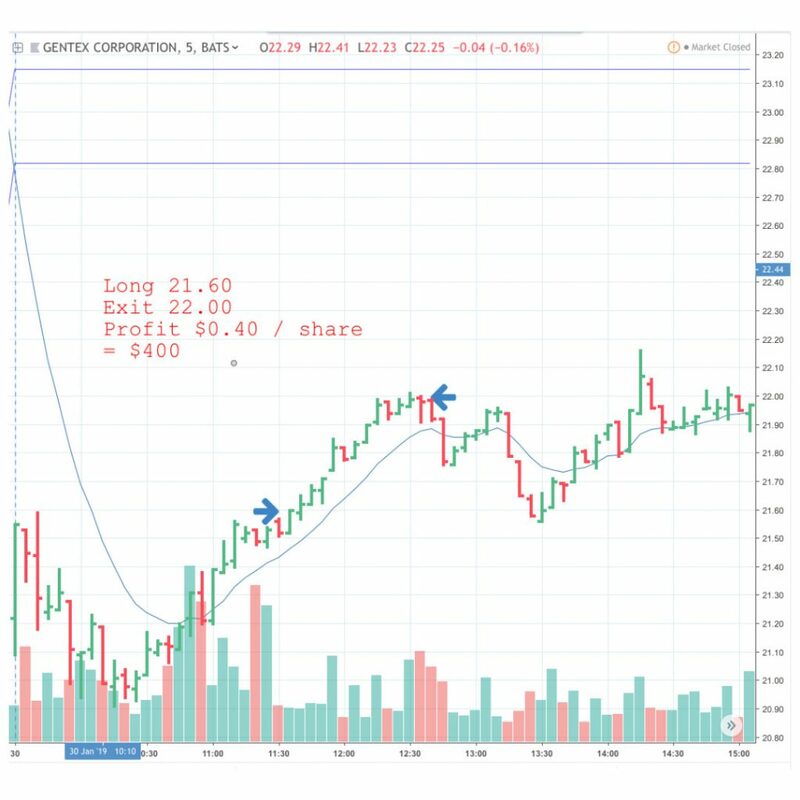 profit Trading just 1000 shares that means $1,500 in the bank for a trade that lasted less than half an hour. 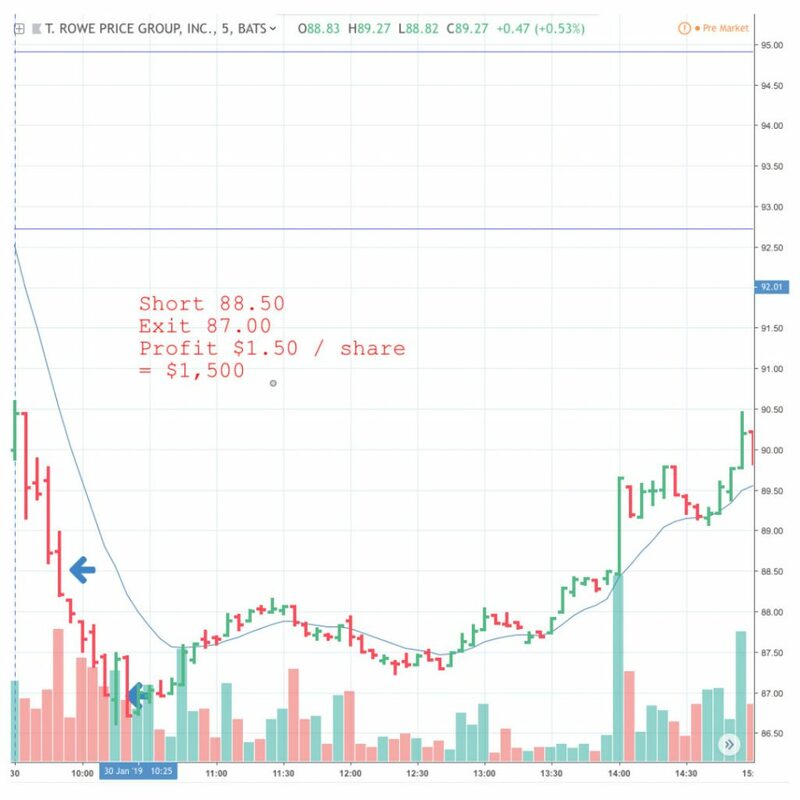 On a cheap stock like this you can trade 1000 shares with a modest $5k account. By my reckoning (please bear in mind that I failed math in school, though it’s never stopped me being a trader), that’s a 30% return in half an hour. Obviously such calculations are meaningless in the realm of day trading, but they can be fun sometimes. For anyone looking later in the day, there were at least two more good trades to be had to put even more in the pot. Here’s one more from Wednesday. GNTS, much later in the day. A similarly low priced stock, accessible to small trading accounts. The trade was much slower and I had to hold through lunch, which I rarely do but sometimes you have to do what you have to do.